At Brayer Design, we are committed to delivering an outstanding level of service to all our clients – providing designs that suit each of our clients homes and lifestyles, created with exacting skills and high quality materials. And so, it gives us great pleasure to share with you the following testimonials from a number of our previous and existing clients. 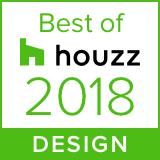 You can also find more 5 star reviews and recommendations from our clients over on our Houzz page. We have just had our bedroom and en suite area totally transformed by Brayer Design and are delighted with the result. From our first meeting with Barry, who was very quick to understand our brief, through to completion Brayer delivered an excellent and professional service. All employees who worked on site were superb craftsmen and we remain impressed with the quality and finish of all furniture and would not hesitate to use them on future projects. We work regularly with Brayer Design, using them for dressing rooms and fitted furniture throughout our client’s houses. We have worked with them for many years and have always been so pleased with both their innovative design and quality product. The whole team at Brayers are a delight to work with and I would recommend them to anyone looking for a cabinetry designer/manufacturer. From start to finish, Barry and the team at Brayer Design were a pleasure to work with. Barry helped with everything from lighting to appliances as well as providing a fantastic kitchen design. The quality of the workmanship is very high and the team take real pride in the project. Highly recommend! Huntsmore worked with Brayer Design as part of a full refurbishment for a house in Wandsworth. It was pleasure from day one to work with the Brayer team. Their attention to detail, workmanship and design were all excellent and they delivered an exceptional kitchen and utility room for the client. Huntsmore have no hesitation in recommending Brayer to anyone wanting a high end bespoke kitchen and look forward to working with Brayer Design in the future.